It also talks to your smart home devices and kicks out quality sound. Samsung is fulfilling its promise of spreading Bixby beyond mobile devices -- it just unveiled a Family Hub 3.0 refrigerator whose star attraction is (you guessed it) Bixby voice control. The company hasn't said exactly what its in-house voice assistant allows, but it will personalize responses to individual voices: you can ask what's new and get your personal calendar and news updates. The fridge also better lives up to the "Hub" side of its name. It now integrates into Samsung's SmartThings ecosystem, letting you control the lights, tweak the temperature or monitor a security camera. This might also be the first fridge good enough to replace a dedicated speaker in the kitchen: the Family Hub has a built-in AKG speaker that promises richer bass and midrange sounds. You can stream music directly from your phone, if you'd like. There are a few practical software updates to boot, including a Meal Planner that personalizes recipes based on preferences, restrictions and even when your food expires. You can add bargains directly to your shopping list, and customized sharing of everything from calendars to notes. Samsung is promising a wider array of content thanks to partnerships with the likes of HomeAdvisor, Pinterest, Tasty and The Weather Company. 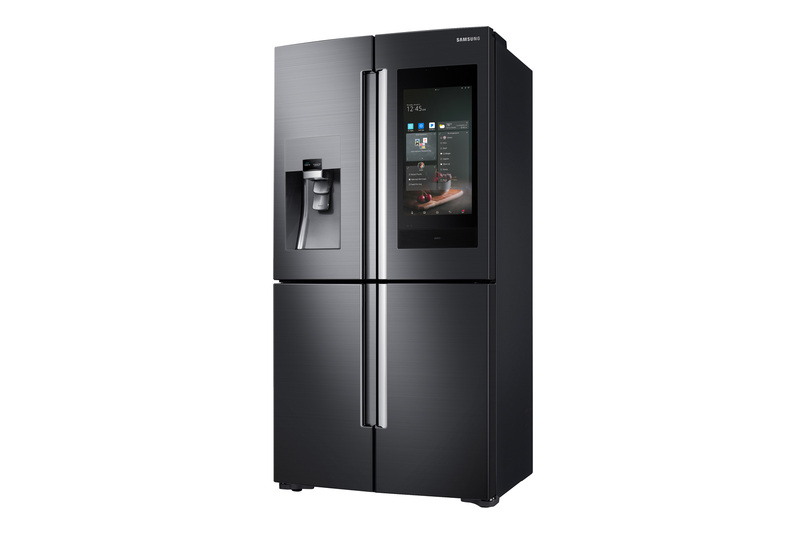 Samsung hasn't mentioned pricing yet, but the new fridge should reach shops this spring.